Home / Case Study / FROM THE FIELD: MEMBER JR. TALKS FINANCIAL EDUCATION WITH Altra Federal Credit Union. HT Mobile Apps recently caught up with Danielle Anderson, Youth Coordinator at Altra Federal Credit Union in Wisconsin for a chat about Member Jr.
How did you learn about Member Jr.? We learned about Member Jr. in 2014 at the National Youth Involvement Board conference. Member Jr. was a sponsor and Kathleen, HT Mobile App’s founder attended. What made you decide to add Member Jr. to your kids program? 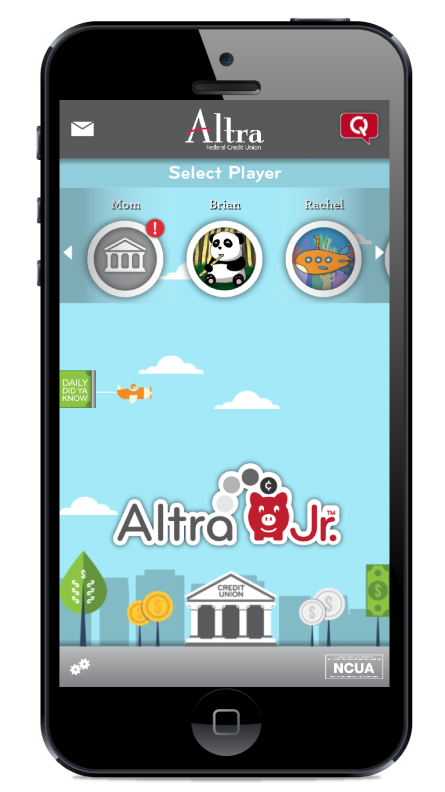 We decided to add Member Jr., which we have branded as Altra Jr., because the program we were using was not taking off. The program was computer based, and as we all know kids want something on the go, and so the mobile and tablet aspect of Member Jr. that kids can interact with made sense. We also liked that it appealed to an even younger audience than our previous program, which started at 6 years of age. We like that Member Jr. appeals to even pre-K age ranges, because even at those ages, they know exactly what they are doing when they pick up a tablet or phone. We also liked that their platform reinforces the topics and curriculum that we were already doing in our programs. Concepts such as spend, save, and share/give are all reinforced in Member Jr. The regular updates to keep things current are also just awesome. We were told with the last program we had that they would do updates, but there were rarely any, but Member Jr actually does. 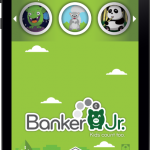 How does a kids app, like Member Jr., fit in to your strategy with kids and families? It fits in great. At Altra FCU, we have a very youthful membership with our average age around 39, which is very low industry wide. Having a family focused Financial Education app fits our demographic and appeals to our membership. We appreciated that we could also make Member Jr. our own, and brand it ourselves. The team at HT Mobile was open to allowing our design team to help us make sure it fit with our brand, and felt to our members that it was coming from us and not just another program that we were throwing at them. Each year at the credit union, we talk about reaching younger members and how to involve them, and through our own research we know how much more likely a member is to stay a member the younger they start a relationship with us. Our research also showed us members who started younger actually use more services and products with us. Altra Jr. aligns with these efforts. What have you done to launch the app? How do you spread the word about the app? We started January 1, 2016 and wanted to do a soft launch. We got all of our ducks in a row before promoting it to our membership. To promote the app internally, we used our intranet and put information out to our employees, put out what we were replacing and why, and what it was. We encouraged our employees to download the app too. About a month after launch, we did an employee contest; if any kids in your life – your kids, grandkids, nieces, or nephews gave us feedback about using the app, their feedback was submitted into a contest for several $50 gift card drawings. We have a very active internal Youth Committee which we used to vote on the winners and now we have great quotes we can use on our marketing. Once our employees were comfortable with the app, we then sent posters and fliers to the branches, and sent a note on our e-statements once we were ready to market to all youth accounts. Then we promoted on Facebook and added a banner on our webpage. Altra sponsors quite a few kids’ events and we hand out bags with the Altra Jr. logo on them with information inside. What are you using to measure success of Altra Jr.? Before we launched the program we set our objectives. First, we set an adoption target. We decided as a team we wanted to achieve 5% of our youth membership downloading the app. We were excited to see on our reports, that by the the end of June we were at 4.5% downloaded, just 6 months in. Our second objective was to ensure we had positive feedback from our members. So far, the ones that we have heard from that are using it love it, and some are raving fans. 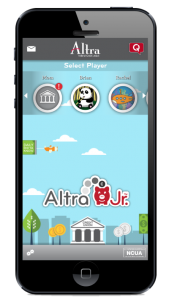 One of our Altra employees has a little boy who uses it daily and has learned all of his coins through the app. Those are fun stories for us to hear. Why does Altra invest in kids programs? It really ties back to the average age of our members. It shows that our efforts to bring young folks in to our credit union work, and we know that they are our future. The little kids using Altra Jr. today are very quickly going to be the ones getting new cars, taking out loans, getting a mortgage, etc. Educating them about money, how to budget, etc. is so important. The earlier these important financial concepts can be instilled the better off they are in the future. Do you have any tips for financial institutions considering Member Jr.? I definitely think if it fits within your goals you should go for it! It is a great program that manages itself. You of course have to put in some marketing effort as people aren’t going to find it on their own, but it is worth it. The program is also super affordable. If you are reaching out to kids and families it is a great addition to those efforts. Altra, Altra Jr., From the Field, Member Jr.